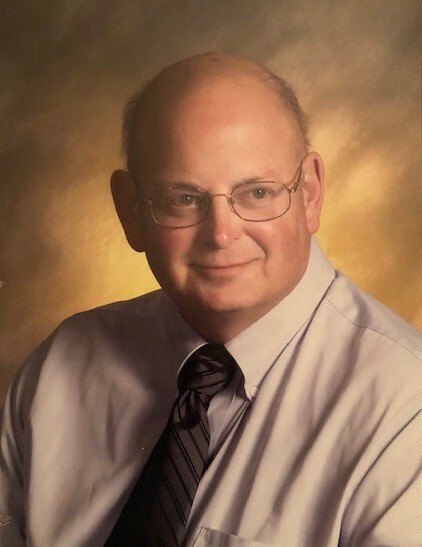 David Mischler, passed away peacefully on Sunday, October 28th, at Mt. Ogden Health and Rehabilitation Center due to long term complications from a traumatic brain injury. David was born in Meadville, Pennsylvania, and lived his early years in Middletown, Pennsylvania. He was a young active baseball player and Cub Scout. David was a winner of many Pinewood Derby races. In 1965, the Mischler family was transferred with many other Pennsylvanians to Hill Air Force Base in Clearfield, Utah. David attended North Ogden Elementary, Wahlquist Jr High, North Ogden Jr High and graduated from Weber High School in 1973. He was very active in student government. Dave was elected and served as Jr Class Vice-president and in his senior year as Student body 2nd Vice-president. David was happiest and best known for playing the drums. He played in the Jr high bands, Concert band, Stage band, Symphonic band and Pep band. He accompanied the Warriorette Drill team at their performances as well as the Chorale groups when they needed him. Music took David on the road playing at many dances, weddings and special occasions as a member of a band outside of school. He worked evenings part time with his father as an engraver in the family business while attending school at Weber State University. Dave found his niche when he became employed at the Internal Revenue Service as an IT Computer Specialist. His interest in computers grew both at work and as a hobby. He was a member of the Texas Instrument Users group and received numerous awards at IRS for his dedication and knowledge. Dave retired in 2013 after 32 years of service. David was also a 50+ year member of the Ogden First United Methodist Church. He played drums and sang in the church choir. David loved the outdoors. He enjoyed deer hunting, fishing and camping with family and close friends. He also belonged to the Gold Miner’s Prospectors Group which took him on many adventures. After retirement David “went for it” on the open road. He purchased a snowmobile, an ATV and his most beloved, a Harley Davidson Motorcycle. He rode all of these with joy. It didn’t matter if it was a short or long trip, Dave was ready to go! David enjoyed his retirement right up until his ATV accident in 2015. David is survived by his mother, Patricia J Mischler, his brother Michael G Mischler (William Coveny); his sister Karen Thompson; his nieces, Kalyn and Kendra Thompson of Missouri, his nephew Brandon Mischler; grandniece Alexandra Mischler and grandnephew Gabriel Mischler in California. He was preceded in death earlier this year by his father, Harold G Mischler. The family would like to thank Comfort Worx Hospice & the staff at Mt Ogden Health and Rehabilitation for their compassion and dedication to David. A Memorial Service will be held on Saturday, November 10th, 2018 at 2:00 pm at Leavitt’s Mortuary and Aultorest Memorial Park, 836 36th Street, Ogden, Utah. Graveside services will follow the service. Family will receive friends and guests prior to the service from 1:00 – 2:00 pm. In lieu of flowers, the family suggests donations to the Ogden First United Methodist Church or the University of Utah Physical Medicine & Rehabilitation Clinic.